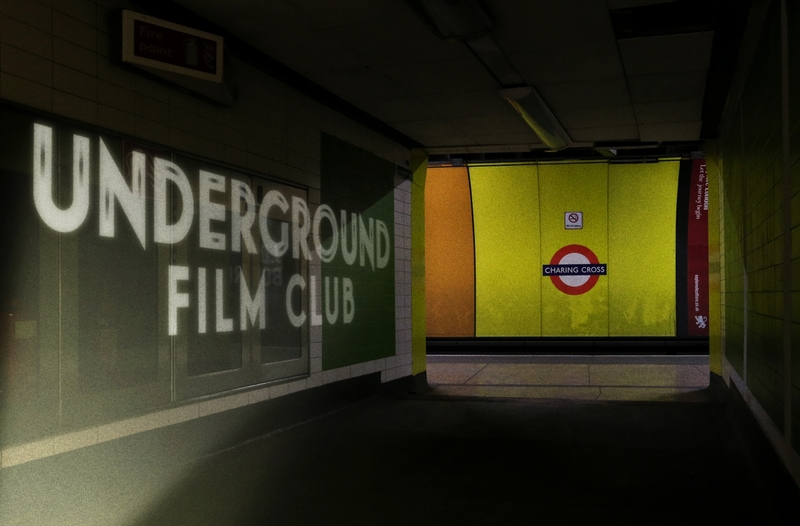 The events, organised by Underground Film Club, will see the disused station transformed into a cinema complete with popcorn stands, hotdogs, and directors’ chairs, with three days of screenings celebrating the capital’s rich cinematic history, the role that the Underground has played and the boost that the Night Tube will give to the capital’s cinema industry. Underground Film Club is the latest offering from outdoor cinema specialists Rooftop Film Club. Since inception in 2011, co-founders Gerry Cottle Jnr and Nick Frow have entertained over 250,000 film-loving Londoners on spectacular rooftops across the city, as-well-as launching London’s only commercial drive in cinema, Drive-In Film Club at the iconic Alexandra Palace. Charing Cross station has been shut since 1999, when the Jubilee line that it served was extended to the Docklands. The platforms and concourse have since been closed to the public, but have been hired out for film productions, including the making of Paddington, which also appears on the bill. The screenings, supported by the British Film Institute, are part of the series of ‘Firsts for the Tube’, that includes the recent photographic exhibition at Westminster station and other unique events taking place on and around the Underground network ahead of all-night weekend services on the Underground commencing on 12 September. The Night Tube is set to transform night time journeys across London for millions of people, cutting journeys by an average of 20 minutes, with some cut by more than an hour. The new services, initially serving the Northern, Piccadilly, Central, Victoria and Jubilee lines, will also boost jobs and help maintain London’s status as a vibrant and exciting place to live, work and visit. London’s night-time economy will be opened up to a host of new opportunities, with the Night Tube supporting around 2,000 permanent jobs and boosting the economy by £360 million. Just over 100 seats are available for each screening, and tickets can be purchased here.